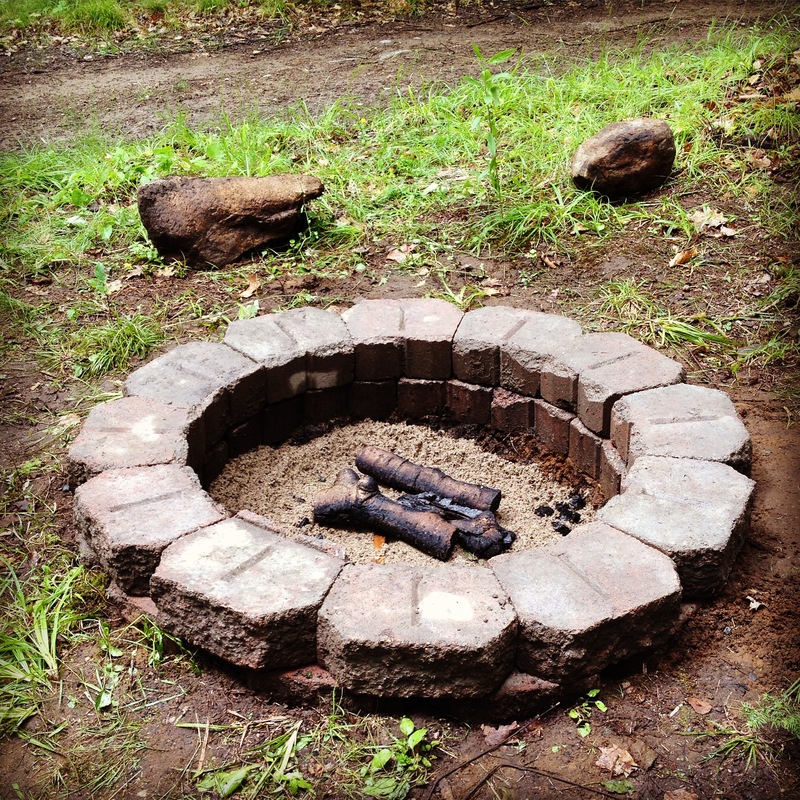 It started out as a typical rustic firepit with large stones in a circle. We found these old patio stones under the deck of our city house. We lined the bottom with sand and added two layers of the patio stones.